AWM Limited's advice, service and support always exceed expectations. Our enquiries are dealt with quickly and efficiently. The level of support we receive, dealing with technical queries for existing or prospective orders, is both professional and comprehensive, ensuring we have exactly what is required by our customers. We only have positive things to say about AWM Limited. 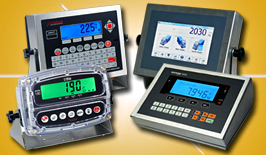 Their scales are well manufactured, sturdy and trustworthy. The company has been extremely helpful and assisted us in most ways possible. James Hobbs is always willing to help, and if he is unavailable he has directed us to someone in the company who can help. One example is when our customer had an issue with his scale, Alex Jeligulasvili spent a couple of days helping us figure out the problem and even remotely controlled our computer to set up the indicator. 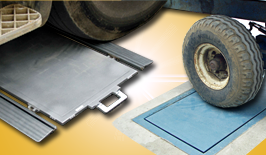 AWM Limited has been reliable and trustworthy in all aspects of our cooperation. 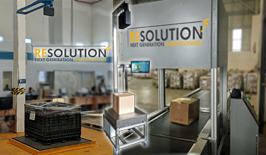 We recently worked with one of our food manufacturing customers to find them a solid weighing solution that they could rely on. We recommended they buy AWM's Valueweigh platforms as we believed this system would provide them with the stability they needed. They bought four platforms which have been installed for about a month now, and they are already bowled over by the products quality and finish, performance and speed. Thanks very much for all of the assistance and patience you have provided this week, again it has been a pleasure to deal with you. I first thought it was going to be a difficult job but you talked me through all of the settings very patiently, you know your products very well. Catlin has been very happy with the product and services received from AWM limited. The team were flexible and able to meet our requirements to develop a unique programme and interface that was simple and easy for our users. The product was tailored for our own specification meeting all our requirements with delivery of the project on time. I would recommend AWM to anyone looking for a similar weighing solution. Many thanks for your assistance in resolving our customer issues today. 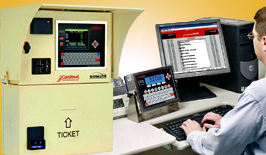 It is very assuring to have prompt and professional technical support for our customers & ourselves when required. Thank you very much for the service provided today in installing the waste scale software, particularly your patience in providing clear and concise guidance to my technically challenged skills! Your help has been most appreciated. I'm very happy with the service I get from AWM, the staff are very helpful and the products are top quality - believe me, we need top quality products here in Iceland. Many thanks to you and your colleague for your quick response and prompt reply, we wish to cooperate with your esteemed company for all of our future projects. We received the platforms yesterday, thank you for your quick delivery. We really appreciate it and would like to congratulate you on the quality of the platforms. The manufacturing and the design are excellent. Thank you, the whole system is excellent the operators are well pleased. I have about 38 tags already installed and it monitors these when the wagon comes onto the weighbridge with no problems. We have been using AWM for the past 5 years and we have found them to be very supportive. 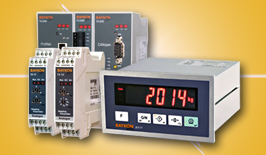 The products are reliable and we have supplied the equipment to many blue-chip companies. If any problems arise, they have been sorted out professionally and quickly. I wouldn't hesitate in recommending them to other potential customers. It was a real pleasure speaking to you. Very few people are so helpful on the first encounter, I am deeply indebted to you for all the help you have provided, thank you. I'm with our customer watching the Recipe Scale in operation. They are really pleased - it has all information recorded related to their production. They are delighted and very happy with the system. Again, thanks for all your help! I have always found yourselves courteous, kind, professional and helpful without exception. Even if the news is not what we want to hear, the interaction is still positive and friendly. Contacting AWM is always a pleasure. An excellent team of staff within AWM, with a wealth of industry knowledge available to us resellers. Always great service, nothing to fault. AWM add even more great video content to their popular YouTube Channel! 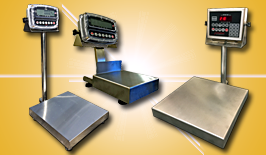 Your Quick Guide to Buying Medical Scales!